This is long overdue but I’m so happy to introduce you to my first mamaprenuer of 2013. Meet, Sara Hart of Sara’s Supper Club. When she responded to my mamapreneur call I knew I definitely wanted to feature her. I absolutely love the idea behind her business and I know there are plenty of local families who would desire her services. I even got to sample a week’s menu and it was fantastic. I loved how she rates each recipe by difficulty and time involved so you can pick which meal fits into your schedule on any particular day. The ingredients are all super fresh and hand picked from Whole Foods. I spent a bit of a beautiful sunny morning with Sara and her amazingly bright and outgoing children. I think the images will give an accurate description of just how that morning went. So, without further ado….meet Sara! I was brainstorming names with a friend. I wanted it to be personal, tie in the food/dinner aspect of the business, and also make it seem like a something you want to be part of and belong to. 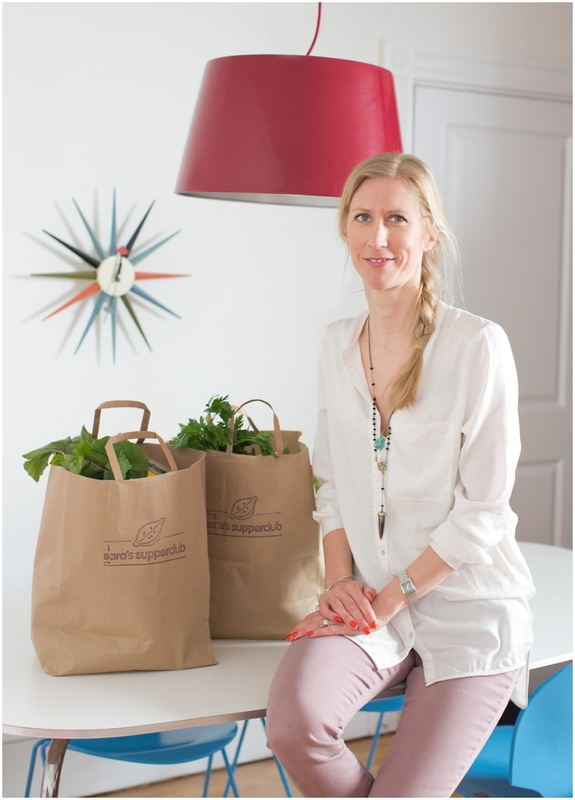 Saras Supper Club is a subscription service that delivers ready-planned grocery bags with original recipes + fresh matching ingredients for four dinners per week for a family of 4-5. I decided to start Saras Supper Club as a tool for families to confront the reality of a busy lifestyle and the daily struggle to find the time and inspiration to cook dinner. We want to do it all these days, and its a shame if home cooked dinner has to suffer in order to make due with activities, work, exercise etc. 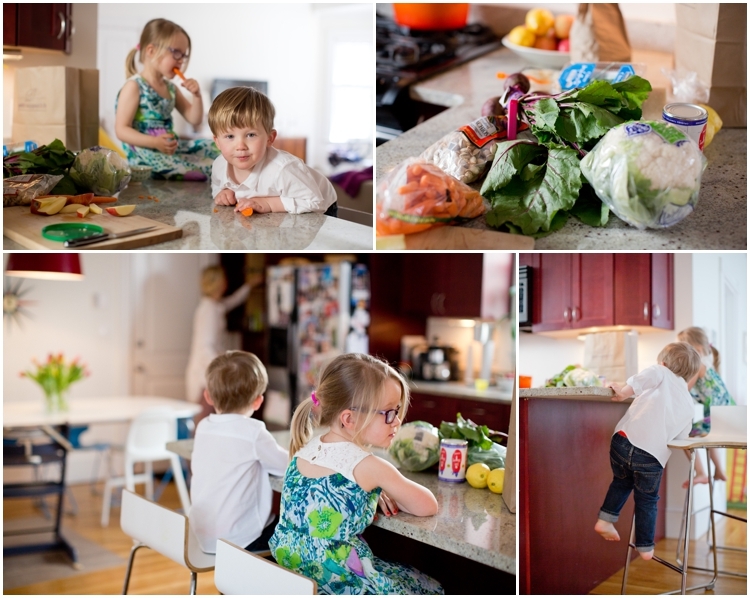 Cooking dinner for some has also become a boring task when inspiration falters and the kids complain. Having someone make the decisions for you and not having to spend time planning and shopping, makes cooking a lot more fun and inspiring. My customers love the fact that they learn how to cook new things and eat healthier and with much more variety then before. What makes your product/business so unique? There are other solutions out there to help families put dinner on the table, like meal planning website, large prep-kitchens, food blogs, private chefs etc, but my service tries to combine most of them all into one, plus that it is very affordable and convenient for what you get, something everybody can afford. What is the hardest part or have been some of your struggles starting your own business? Everything takes so much longer when you have to do it by yourselves. Things I didnt think was doing to be a headache ended up sucking a lot of time and energy out of me, like the website and report system behind it, when all I wanted to focus on was the recipes and customer service. How many children do you have. What are their ages? And ages when you started your business? I have a daughter, Alice, who just turned 4 and a son, Xavier, who just turned 2. They were 9 months and 2.5 when I launched, but my daughter was only a few months old when I started thinking of the idea. What are some of the creative ways you have found to juggle being a woman, a mother, a business owner, and a wife? Less sleep! Lets see, I never shower in the morning anymore, and I often go to the gym and grocery store at night. 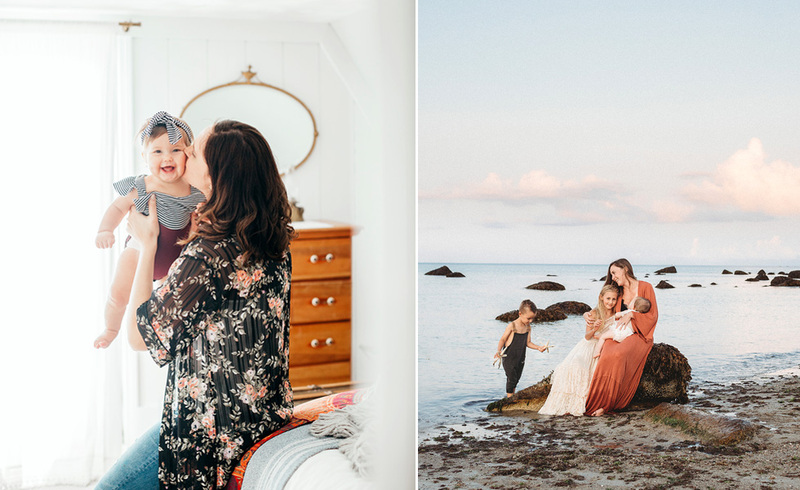 As for any mom, working or not, its important not to get too wrapped up in every day chores and duties and neglect the fun, so I make sure I laugh and joke with my kids everyday, and to kiss my husband as often as I can! My mother, who has worked very hard her whole life, raising 3 children alongside a busy full time job without ever complaining and always making sure her family was happy. My parents have a great way of working together and have always shared all main responsibilities, which is something I admire. That is a very difficult question, as I love to cook and to eat. Breakfast is definitely my favorite meal of the day (its the reason I get out of bed in the morning..), and I have oatmeal with cinnamon, apple sauce, and farm fresh milk, so that might have to be it. Otherwise I love to eat with the season! In Sweden we have a period in the middle of June when the new potatoes and strawberries are freshly picked and those are to die for. I also love corn on the cob and New England is a fabulous place for that at the end of the summer. Spring asparagus, apples in the fall and Brussel sprouts are other favorites, along with Swedish meatballs with lingonberry jam of course! I have celiac and thus cant eat gluten, which many classic desserts contain, but Ice cream I can eat, and I love love love all the fantastic home made ice cream in New England! There are little shops everywhere and one better then the other. My favorite is Somerset creamery by North Falmouth on Cape Cod, and their Black Raspberry flavor. Ten Tables in Jamaica Plain. Their tasting menu with wine pairing always delivers, and to a good price! Favorite piece of clothing or accessory? It will have to be the west coast of Sweden where I go once a year to visit my family. We also spend a lot of time on Cape Cod in the summer which is wonderful, and I love to go skiing in the winter if I get a chance. Deep at heart I am a beach girl though and my dream vacation is to an exotic island like Bora Bora or Seychelles. A girl is allowed to dream, right? Crab fishing off the dock of our summer house in Sweden. There are tons of small crabs in the water off the west coast where I used to spend a week or two every summer as a kid. My sister and brother and I used to spend hours fishing them using mussels as a bate and a net, and after collecting tons of them in a bucket, we would just poor them back out again. On any given day, what makes you smile? My kids and their funny comments. They have an opinion about everything and their observations put a fun spin on things going on in our every day life that we tend to overlook. When you have free time (ha!) what would your ideal day entail? I assume you mean free time without kids 🙂 Small things: Enjoying a coffee and reading a good book, a nice wine lunch with my husband, go for a walk by the ocean, and time to phone an old friend. Since many of my best friends are in Europe I never seem to have to the time to talk to them on the phone because of the time difference. Natalie Clayshulte - This is such a brilliant idea for a business. Love it. What a beautiful family! f5NQ - 951460 232153I discovered your weblog web site site on google and appearance some of your early posts. Preserve up the excellent operate. I just extra increase Feed to my MSN News Reader. Searching for toward reading far a lot more by you later on!